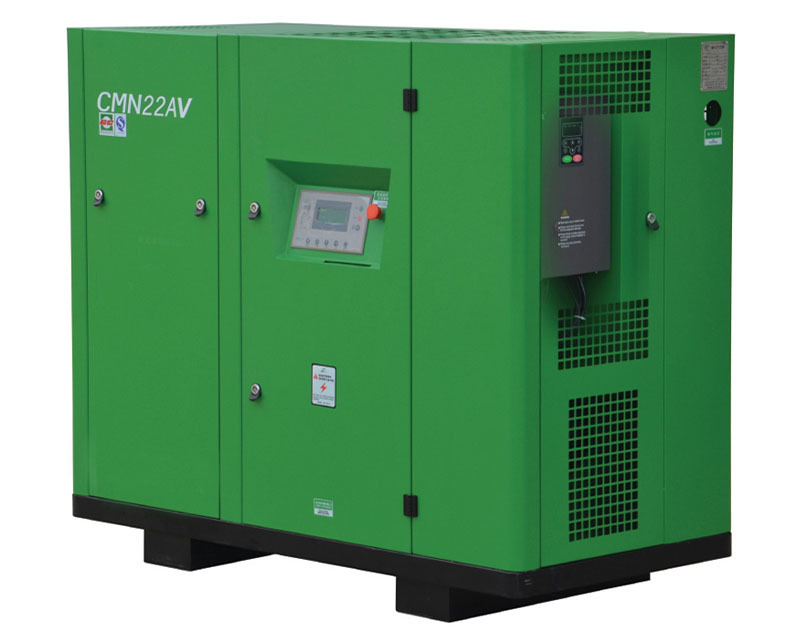 The displacement of the inverter compressor can be combined with the user's gas consumption to completely avoid the loss of the unloading power. Eliminating the pressure of more than 0.2MPa pressure, so that the unit directly to save 14% of energy. Users can setting pressure arbitrary in the range of 0.4 to 1.2 MPa(Note: Please assure the highest pressure when buying compressor). Under the setting pressure, the unit always keep + / - 0.01 MPa pressure gas constantly supply. If Air increases, the unit improve the speed automatically ; if Air decreases, the unit reduce the speed automatically, to keep system supply pressure constantly. Frequency soft start to avoid the impact of the grid, while avoiding its own mechanical shock. No contactor, eliminating electrical contact failure, running more stable and reliable.